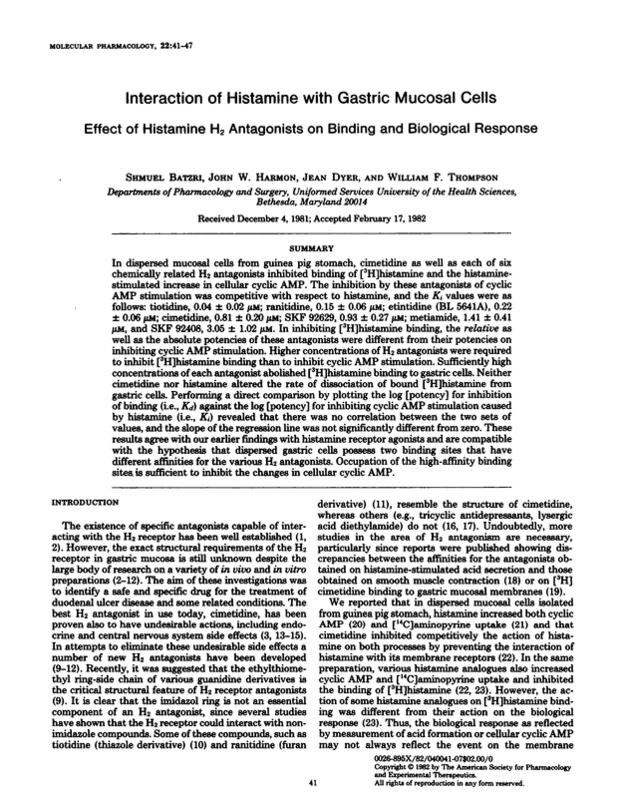 Interaction of histamine with gastric mucosal cells. Effect of histamine H2 antagonists on binding and biological response. You are going to email the following Interaction of histamine with gastric mucosal cells. Effect of histamine H2 antagonists on binding and biological response.